The Independent National Electoral Commission faces a dilemma over what to do about the All Progressives Congress following the ruling party’s failure to hold a midterm convention within the timeframe prescribed by its constitution. 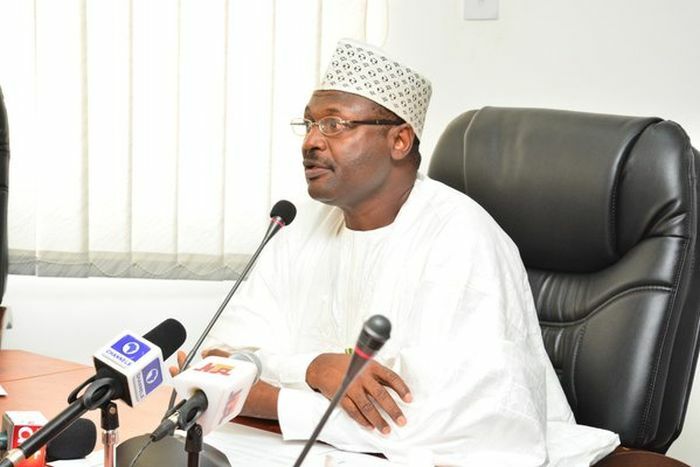 INEC has kept its silence on the issue, fueling suspicion as to whether the commission would have the will to take on the ruling party on the issue. Already, there is a constitutional crisis looming in APC as it struggles to agree on a date for its National Executive Committee meeting preparatory to the now overdue midterm convention. Efforts to get the reaction of INEC on the APC situation were unsuccessful, as none of the commission’s officials agreed to comment on the issue. A plan by APC to hold a NEC meeting this week hit the rocks at the last minute, THISDAY learnt. But as part of remedial measures to try to mobilise resources and support for the national convention, APC governors will be meeting with the party’s National Working Committee in Abuja on Wednesday. Meanwhile, former Minister of Culture and Tourism, Chief Edem Duke, yesterday defected from the main opposition Peoples Democratic Party to APC. Duke served in the administration of immediate past President Goodluck Jonathan on the platform of PDP. The former minister registered as a member of APC at his Edem Odo ward in Akpabuyo Local Government Area of Cross River State during a ceremony attended by former PDP member and ex-Special Adviser on National Assembly Matters, Senator Florence Ita-Giwa, and other APC chieftains. APC held its last national convention on December 10, 2014, when incumbent President Muhammadu Buhari emerged as the party’s presidential candidate ahead of the 2015 general election. Going by the APC constitution, the party ought to have held another convention before now. THISDAY gathered from a highly reliable source within APC that following pressure from some members, the party’s NWC had decided to hold a NEC meeting before the Muslim Ramadan fast to iron out issues relating to the midterm convention and other important national matters. However, it was learnt that the party had to drop the idea after a failed bid to convince the acting president, Professor Yemi Osinbajo, to pick a date for the NEC meeting on behalf of Buhari, who is on medical vacation abroad. A presidency source disclosed that Osinbajo and National Chairman of APC, Chief John Odigie-Oyegun, had met thrice last week but could not agree on a date for the NEC meeting. The source said Osinbajo’s reason for refusing to go along with Odigie-Oyegun on the convention matter was that Buhari had earlier told the party he was not disposed to holding the NEC meeting at least for now. It stressed that the acting president did not want to overturn the president’s decision on the matter. Odigie-Oyegun and the NWC had sought an audience with Buhari in March shortly after his return from a 51-day medical leave in the United Kingdom but could not succeed before he travelled out again for medical treatment. The source believed the leadership of APC was conscious of the implication of not getting the presidency’s nod before proceeding with the NEC meeting and convention activities, and did not want the events to be boycotted. It said the APC national leadership had, therefore, resolved to do more discussion and consultation on the matter after which it might be forced to hold the NEC meeting and subsequently the midterm convention with or without the presidency’s input. But the dilemma now is that even if the party succeeds in getting the president’s nod to go ahead with the NEC meeting and convention, it does not seem to have the needed funds to organise the two events. It would still have to wait for its governors to raise money. Some APC chieftains who spoke on the issue gave divergent opinions on the likely consequences of the failure to hold the NEC meeting and convention. Estranged Deputy National Publicity Secretary of APC, Timi Frank, described the seemingly indefinite postponement of the mini-national convention as a shameful act. In a statement, Frank said failure to hold the national convention was a breach of the party’s constitution on the part of the NWC. Frank said the reason APC experienced difficulties in raising funds for its activities was the lack of trust in the present leadership of the party. He called on prominent members to speak up before the situation worsened. “I’m calling on prominent members of the party who are still keeping quiet to speak up, else, this mismanagement might lead the party to unexpected end,” Frank stated. However, another chieftain of the party who did not want to be mentioned said the APC constitution was not being breached by the failure to hold the NEC meeting and national convention. He said there was even a provision in the constitution that said in-between conventions NEC could act on behalf of the convention. According to him, “The constitution said that there shall be a convention within two years, the same way it said that NEC must meet every quarter but NEC must not meet every quarter if there is no need for the meeting. It is a midterm convention, it is just a semblance of a national convention but it is not an elective convention. “So what is compulsory is the elective convention where officers will relinquish office after four years, whereas a midterm convention is devoted to effecting constitutional amendments or approving any new initiative. In the meantime, Duke was formally admitted into APC yesterday during an event at the party’s state secretariat in Calabar, where the state secretary of the party, Bishop Victor Ebony, represented the chairman, Mr. John Ochalla. The former minister was handed over to the party’s national vice chairman, South-south, Mr. Hilliard Eva, who presented him with the symbol of the party, the broom. Duke said passion for the country was behind his decision to join APC. He said, “It is a declaration of my passion and determination that this country of ours requires the commitment and cooperation of all and sundry. I am one who is always passionate about the development of my community. Having taken a look at the political landscape of Nigeria, I believe I cannot be an inactive observer in the trend of development in our country today. It is a call to duty for us to salvage our country and that is principally the issue that influenced my declaration for the APC today.